The Avionics Technician program is designed to prepare the student who has had some training or experience in aircraft maintenance and/or electronics repair for career opportunities ranging from aircraft electricity to aviation electronics systems troubleshooting and repair. Students who have had no previous aircraft maintenance or electronics experience should consider the AMTE program, which is designed to provide those fundamental skills, as well as the specific skills and knowledge required for employment in the avionics field. After learning the basics of analog and digital electronics, the student will be taught the more advanced aspects of the aviation electronics field, and how they relate to a position in this technical industry. Students in this accelerated program will learn the theories in the classroom and the lab for practical application. The student will learn to perform duties utilizing standard test equipment such as the oscilloscope, voltmeter, function generators, avionics flight line diagnostics equipment, and similar electronics test equipment essential for troubleshooting today's modern aircraft systems. Students will be instructed how to read schematic drawings and logic diagrams in order to diagnose, repair, and replace many electronic devices. Throughout the program, emphasis is placed on job related skills in avionics maintenance and troubleshooting. This will include the installation, operation, troubleshooting, and replacement of avionics equipment such as fuel quantity systems, transponders, communication receivers, distance measuring equipment, transceivers, satellite navigation systems, automatic direction finders, autopilot, and flight directors. Students will prepare to take the Federal Communications Commission (FCC) test for their Element One and Element Three License or the GROL (The General Radiotelephone Operators License). Upon graduation, the Avionics Technician will be qualified for an entry-level position in the exciting field of avionics and electronics. This new career will offer opportunities in the United States or overseas working for the aircraft manufacturers, charter or corporate aircraft fleet, airlines, general aviation, or the U.S. Government. 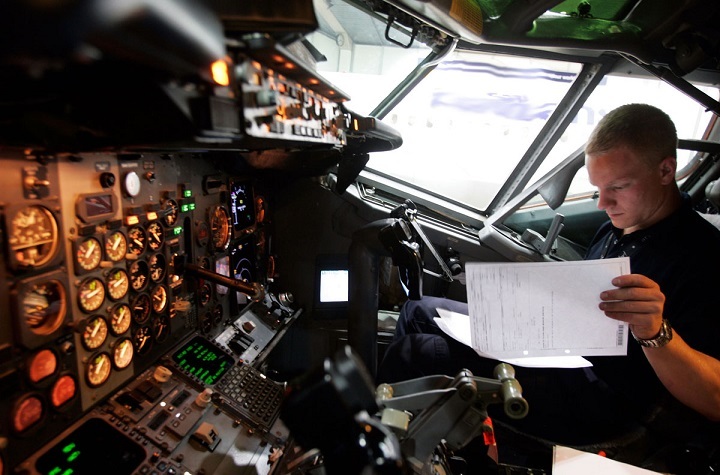 Other areas utilizing avionics, electrical and electronics technicians include the automotive, elevator, railroad, and manufacturing industries to name a few. *Program details may vary by campus.